Watch MVHR current and adopted horses compete in the Battle for the Saddle Rescue Horse Show at Rocky Mountain Horse Expo, exclusively for Rescue Horses! Read our blog post for details and more information. A fun, free day to benefit horses in need! Food, music, caramel apples, kids activities, pony rides, horse training demonstrations! Join us at the ranch! Please join us for a Barn Breakfast for the Horse Rescue, at Marabou Ranch in Steamboat Springs. Tickets are $50 and proceeds support the rescue. Purchase tickets here. Please Join us for a Barn Brunch at Humble Ranch in Steamboat Springs, to benefit Mountain Valley Horse Rescue. Please Join us for our Annual Barn Brunch to benefit Mountain Valley Horse Rescue. 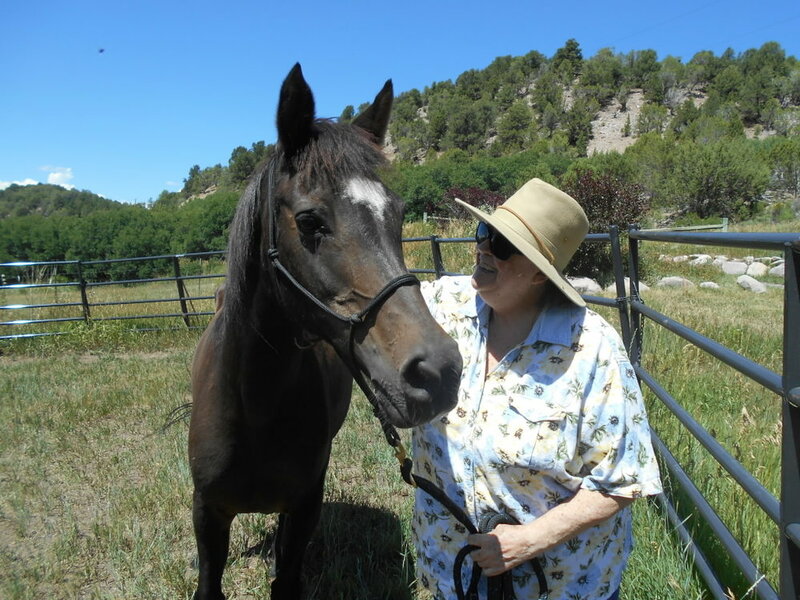 This year we will honor Dr. Silvia Stocker, MVHR Veterinarian, for her years of service to the Rescue and its horses. Watch for more details about our celebration of ASPCA's National Help a Horse Day! Our focus this year will be on adoptions....how many amazing homes can we find for our incredible horses?! Are you one? Stay tuned! Celebrate with us the amazing year we shared! We will also be celebrating the life and all the joy brought to MVHR by our Veteran Volunteer, Wes Geist! Mountain Valley Horse Rescue invites you to give where you live, and support our rescue and horses today for Colorado Gives Day. Click here to make a donation. Come out to the rescue for TONS of great tack. Many items are just $1 and it's all gotta go. Get your English AND Western halters, bridles, saddle pads, riding clothes, brushes, boots, blankets... you name it, we probably have it. Saddles (English, Western, Endurance, Pack) are just $50. ALL proceeds benefit Mountain Valley Horse Rescue!